See how we live our values through our very own Culture Book that we give to candidates and new employees. 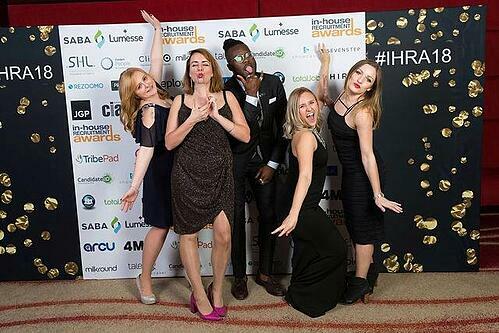 We recently took home the gold for Best Candidate Experience at the In-House Recruitment Awards, and I could not be more proud of the amazing People Team I’m a part of. As the Head of Talent Acquisition, I wake up thinking about how I can make the world a better place to work for the employees we’ve yet to welcome into the RG family. While winning puts a smile on my face, what was my favourite part of the evening was sharing strategies and tactics with the people around me. Everyone had such innovative ideas to engage candidates, and I was inspired to take on a few new ideas in 2019 that I’m excited to share soon. But in the meantime, if you’re looking to revamp your own people strategy, here are a couple of the pieces that were in our own application that brought home the (figurative) trophy for us. Beyond our YouTube channel and on-the-spot interviews for our most-posted job advertisements (check out this one from Evan Smith, an Employee Engagement Specialist on our Melbourne team), we also have an active presence on Facebook through a separate Careers Facebook page that works alongside our branded Facebook page, and work with our Marketing team to make sure our people are front and centre on our Instagram page. Always make sure your social channels give prospective candidates the feeling that they’re behind the scenes in your company — the good, the great and sometimes even the ugly. We have a blooper reel from one of our first filmings of an internal TV show that we used to air that still gets a ton of views on YouTube! Two other pieces of media I often share is our new(ish) Culture Book for an insider look into RG, and our first-ever Culture Video, which I’ve popped in below. It really sets the tone for who we are, and what a candidate might be joining. From the get-go, we’ve committed to a 24-hour turnaround on all applications globally. We also include Robert Hicks, our Group HR Director on our emails to candidates, so that he is available to receive feedback or any comments that candidates might have during the hiring process. 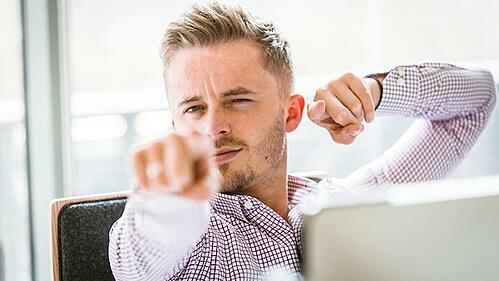 Alongside this, we’ve trained our Leadership Team on how to respond to Glassdoor reviews in an open and honest way, taking tips from our Founder Glenn Elliott who famously committed to responding to each and every Glassdoor review within 24 hours. One of our core company values is “Be Human,” and that’s why every single candidate who has an interview, whether by phone or a face-to-face, will always receive personal feedback by phone. Another of our values is “Speak Up,” which is why we try and collect feedback through every part of the candidate experience - I’m really proud that we have an NPS score of 100 from new employees, showing that tools like our Onboarding Survey and new technology like Enboarder, which connects new employees to their managers and the company well before their first day. A big focus for our People Team (and the whole company, really) has been our Diversity and Inclusion initiatives. In the past six months, we’ve had a 50/50 split in gender who has researched us, which is really rare. But diversity is much more than just gender — we regularly advertise on a variety of job boards to attract a more diverse applicant pool, including Vercida in the UK, which promotes equality, and 180 Work in Australia, which focusses on diversity within technology. Though we won this year, we’ve still got lots of improving to do in the year(s!) ahead. In an upcoming post, you’ll hear from my boss, Robert Hicks, on how we develop our People Team goals to do our part to Make the World a Better Place to Work. If you’ve got any ideas for improving the candidate experience, or want to hear more about what we’re doing, I’d love to connect with you. Find me on LinkedIn, or leave a comment below.